Intense can be defined in several ways based on the intended meaning or the context of its use, and the two that come to mind when it comes to fragrance is being something that is possessing or displaying a distinctive feature to an extreme degree. The other, and my usual view when I’m at work, is that it’s something being highly concentrated. My interest in intense-labelled fragrances happened by accident as I was browsing through reviews trying to work out what should be my next fragrance. I felt that as I worked for a perfume company, it was time to evolve my choices along from CK One and Diesel Only The Brave. Both good fragrances, but I wanted to mix it up! After trying many a tester, I landed on Dior Homme Intense, an Eau de Parfum version of the normal Dior Homme. I was hooked, and so it began. Male fragrances that were either intense or an Eau de Parfum were on my radar. This brings me (rather belatedly) to BlackXS L’Exces Eau de Toilette Intense for Him, which is a fragrance fronted by Iggy Pop and launched a full year ago. 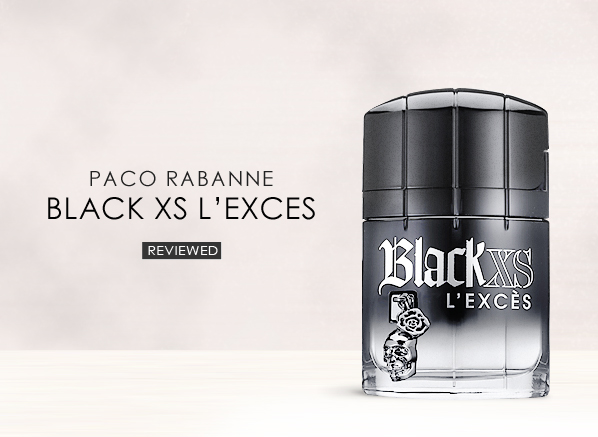 Paco Rabanne describes this as a scent for a rock man with sensuality, with an irreverent and rebellious attitude. I remember trying this initially on a blotter. It was interesting, intriguingly different but like a fleeting holiday romance, nothing serious happened. I re-discovered L’Exces at the end of last year and have been using it once or twice a week. It’s refreshing, and after a couple of sprays I’m hit with a strong note of pineapple which then settles down into a more citrusy, aromatic smell. It’s a fresh and fruity scent but with the underlying woodiness helps to give it the richness which defines the fragrance. As the name suggests, it is a longer lasting fragrance and this is needed to give the middle notes time to develop. Initially, after the aromatic citrusy almost tropical juice opening, it changes to reveal an aromatic woodiness which then settles and lasts a decent amount of time, I found anywhere from 6 hours plus. The initial opening has great projection but then calms down and stays close to the skin. It was surprising that such a scent came from a bottle with a skull hanging off a metal chain. 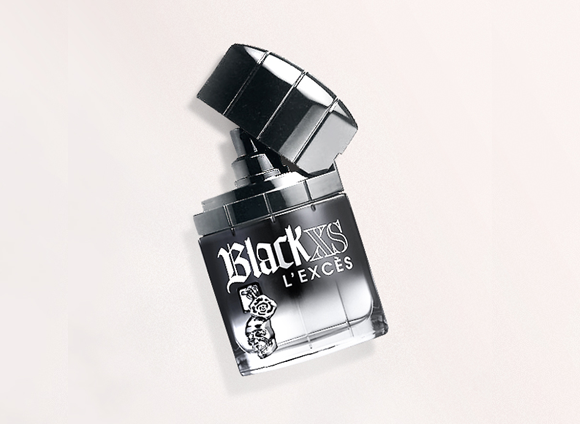 I’ll leave the marketing decisions to the big companies but it doesn’t seem to fit with the fresh, tropical sorbet-like fragrance Black XS L’Exces is. I’ve been using L’Exces during the day as an office fragrance and I’m very much looking forward to using it during warmer weather to see how it shapes up. It’s been a refreshing step away from my usual heavier winter scents but until it gets warmer I’ll keep using it to remind me of the spring/summer months to come! This entry was posted on Saturday, February 23rd, 2013 at 10:30 am and is filed under Fragrance, Guest bloggers, Men, Tried & Tested. You can follow any responses to this entry through the RSS 2.0 feed. You can skip to the end and leave a response. Pinging is currently not allowed.